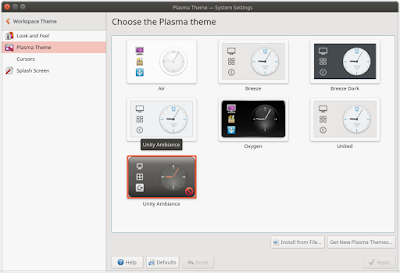 Following my latest customization tutorial and my old 2016 one, this short tutorial explains how to install Ambiance theme from Ubuntu so the custom Plasma can look more like Unity. 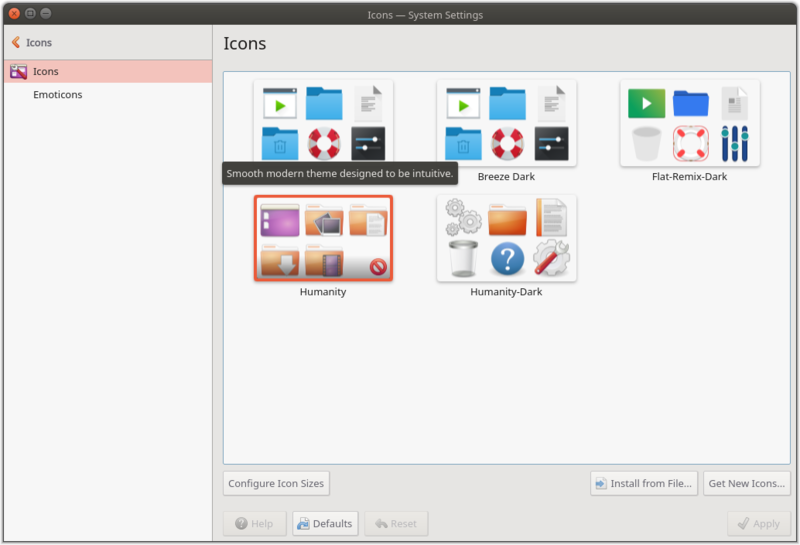 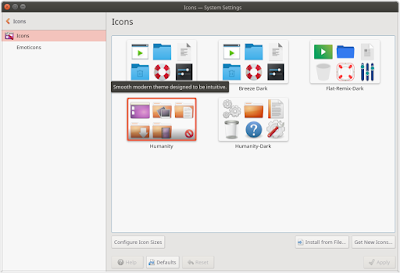 After you made the top and left panel, now you will have black titlebar with orange circle close-button and make the left panel translucent and finally install the famous Humanity icon theme. 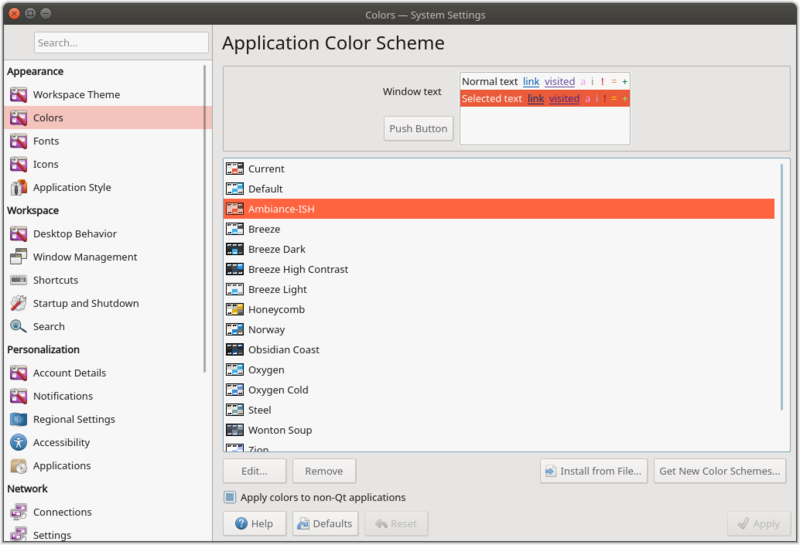 I hope you enjoy this better than my old tutorial. Happy tweaking! 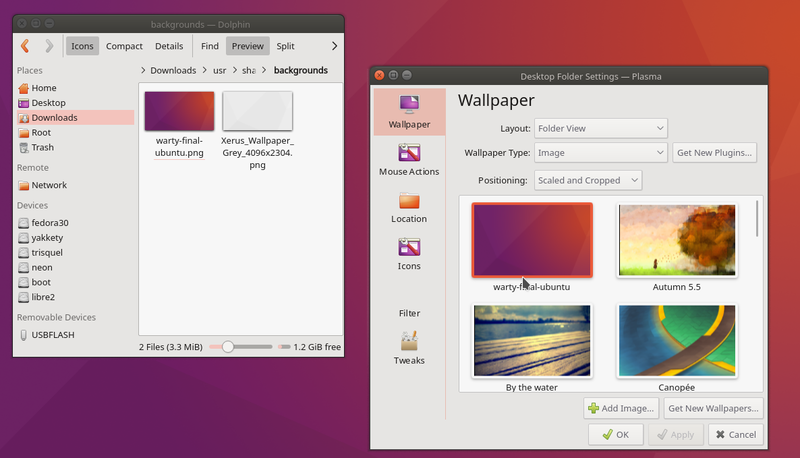 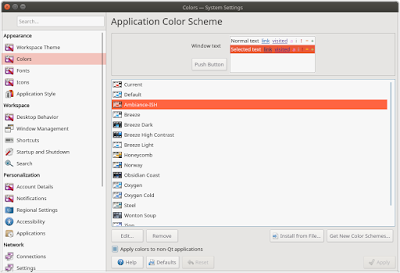 Showing it with the original Ubuntu's purple-orange wallpaper will make it clearer. Go to System Settings > Application Style > Window Decoration > drag and drop items on title bar shown there > you should have close-maximize-minimize on left side. 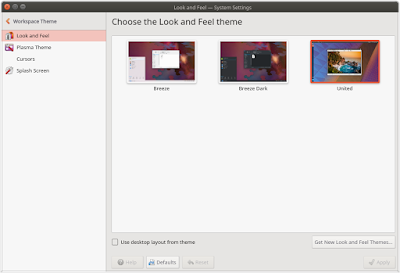 Settings location: System Settings > Workspace Themes > Look and Feel > United. 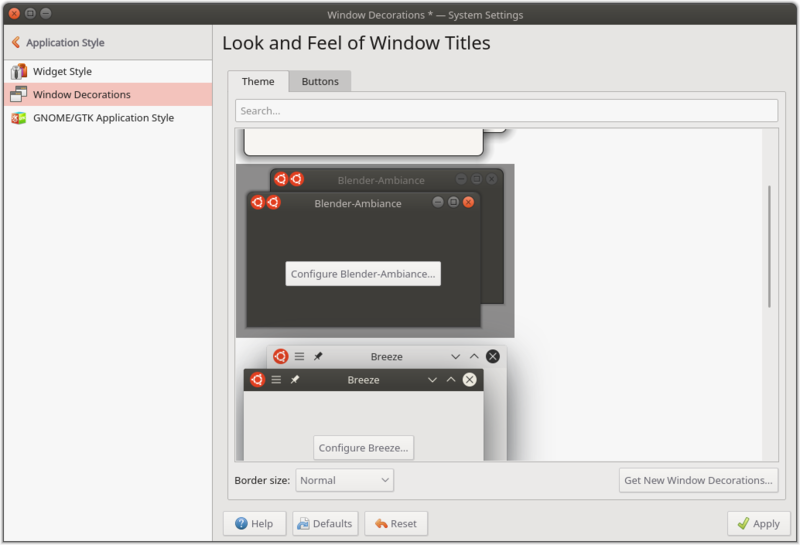 Settings location: System Settings > Application Style > Window Decoration > Blender Ambiance. 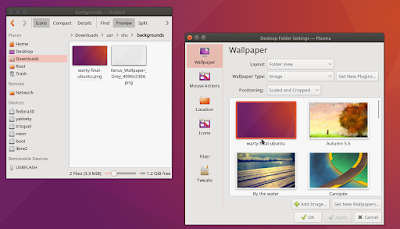 You can download Ubuntu 16.04 wallpaper from here https://packages.ubuntu.com/xenial/ubuntu-wallpapers. 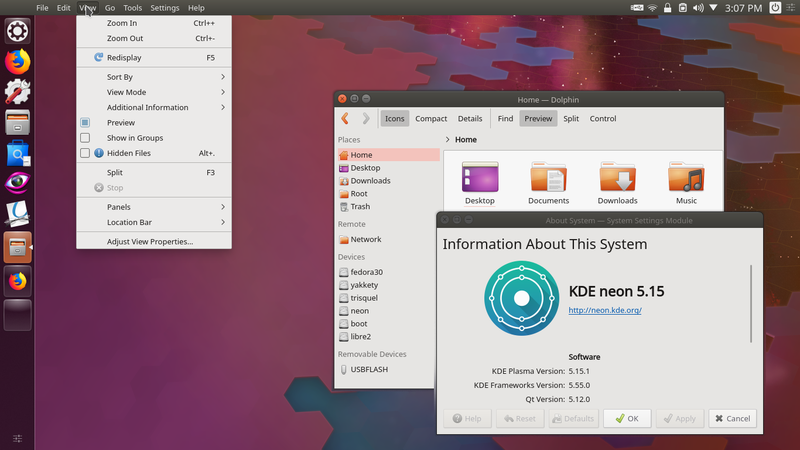 You better download the DEB (3MB) rather than TAR.XZ (90MB). 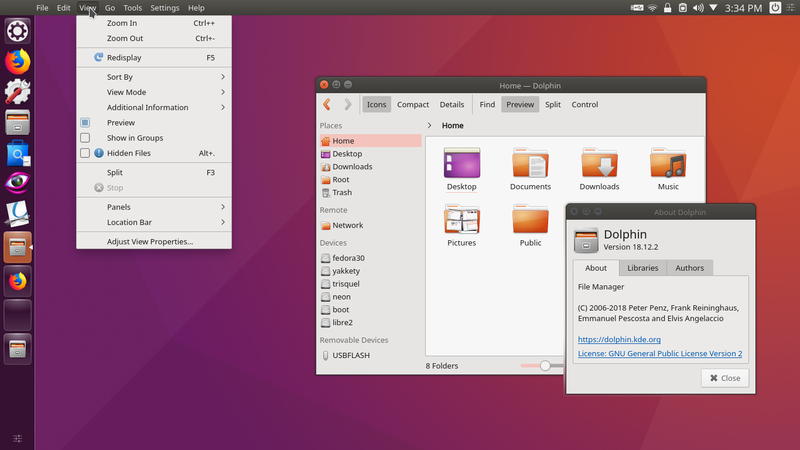 Simply extract the DEB file until you get the warthy-final-ubuntu.png wallpaper file. 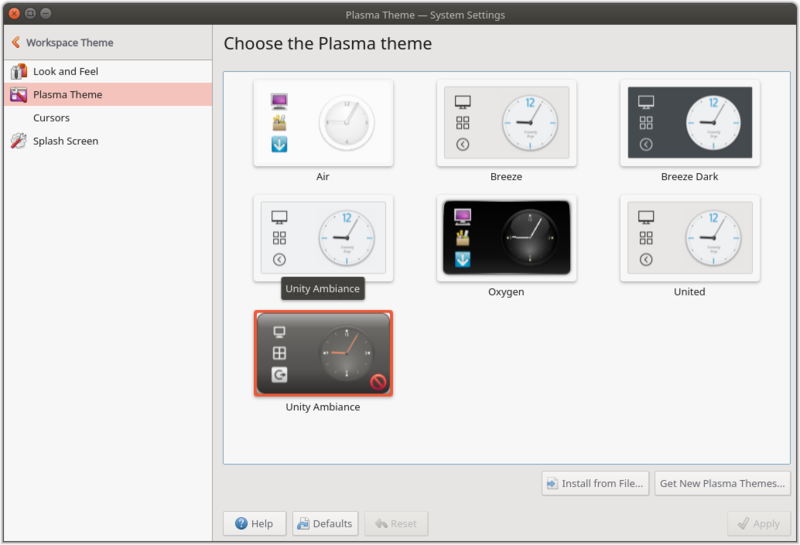 Just like the first picture above, you should get this Unity-like Plasma desktop by now. 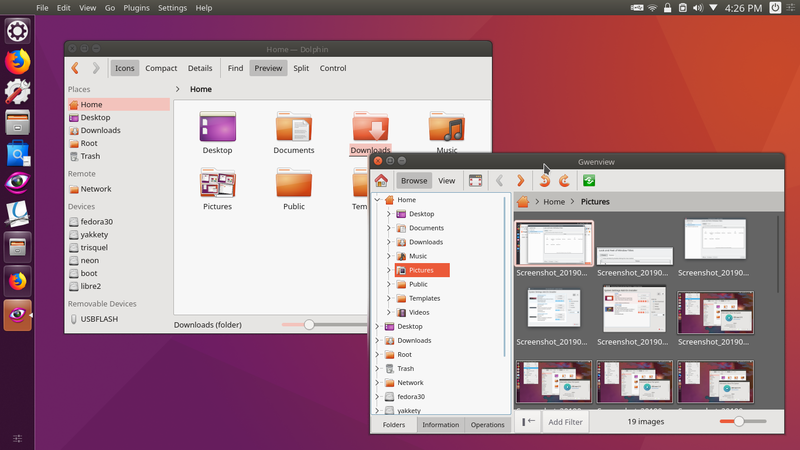 Happy tweaking!